One of my colleagues sells fresh fruits that he sources from his various contacts at the market, and when he recommends a specific produce to me I always say yes cos I know they’ll be amazing. So last week when he told me he had Cara Cara oranges in stock, I said “how many?”. Fast forward to the weekend (after I’ve had quite a few fresh slices as well as OJ), I still had a lot left over. Combine the almond meal, flour, baking powder and salt in a medium bowl and set aside. Whisk the butter and sugar together in a large mixing bowl until light and fluffy, then beat the eggs in one at a time. Add the yoghurt and orange zest and beat until thoroughly combined, then fold in the dry flour mixture until everything is just wet. 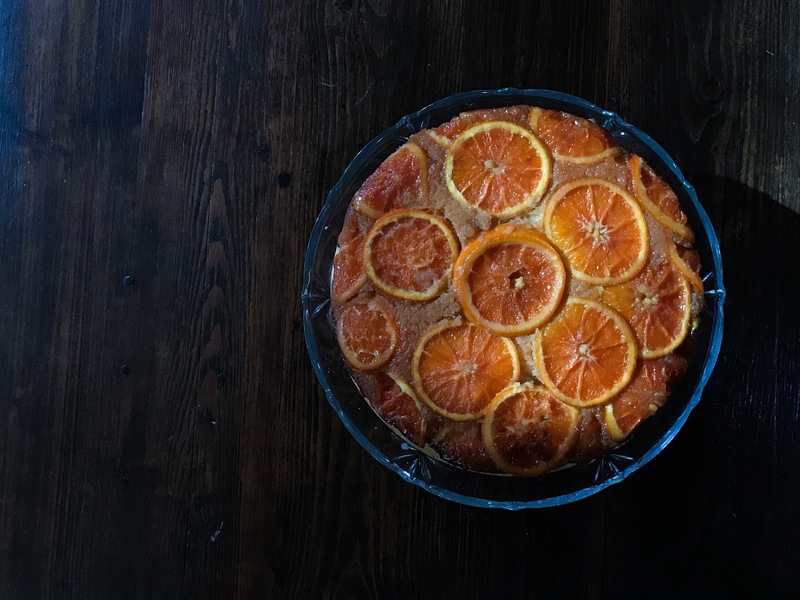 Pour batter over the orange slices, level, and pop in the oven for 60 – 70 minutes. Remove from the oven and allow the cake to cool in the tin for about 10 – 15 minutes before upturning onto a wire rack to cool completely. I also apologise for the lack of good-quality photoes but I realise that between my job and family obligations… I don’t really have all the time I used to for setting up the perfect shots despite how much I want to. I feel that I keep using that as an excuse to not post anymore. I miss blogging, really, just the seemingly senseless activity of talking to myself. So I hope you guys don’t mind… I just really love having this outlet. Much love, hope you enjoy the recipe and cake!